Just add wind to make these beautiful flowers spin! 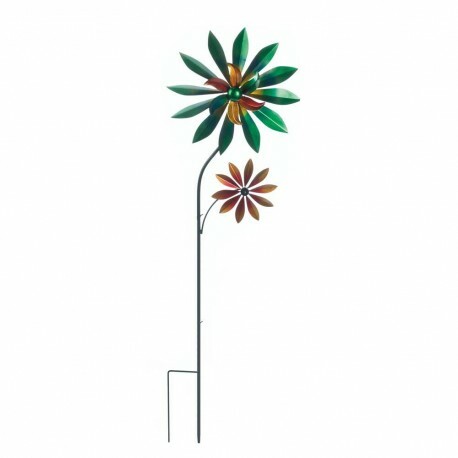 Adding two pretty dahlias to your outdoor garden space is easy with this iron decoration. 15" x 4.5" x 47". Iron.